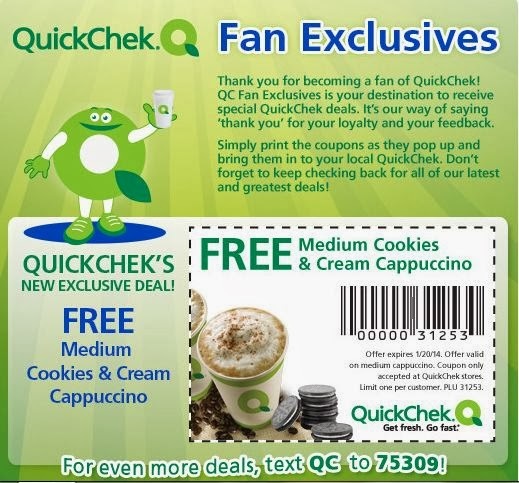 Get a free Medium Cookies & Cream Cappuccino from QuickChek. Just click the link below to go "like" them on Facebook. Once you "like" them you can print the coupon. Take your coupon in to your nearest QuickChek to redeem it. This offer is valid until Jan 29,2014.